Alivache Ladoo ( Garden Cress Seeds Laddu) are good for lactating women & growing children specially in winter. It is also called water cress seed sweet balls. 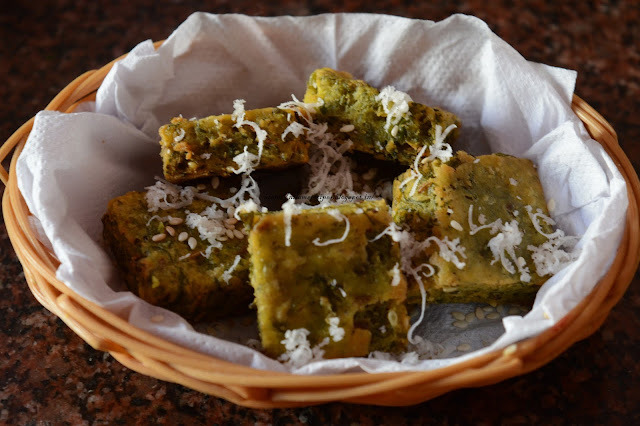 Its a mixture of watercress seed, jaggery, desiccated coconut, semolina, cardamom powder, nuts and oil. Aliv means halim in Hindi. Soak aliv in coconut water for 2 hours. Heat a pan add grated fresh coconut and jaggery saute for a minute and add soaked aliv. Cook over medium heat until thick. Add almonds, cashewnuts, raisins and cardamom powder and mix well. Once the mixture turns thick turn off the gas. Let it cool then make ladoo of it. Aliv Laddu not just important for lactating mothers,patients,growing kids and old people. Thank you for visiting www.maharashtrianrecipes.com Your comments, suggestions and feedback are extremely valuable. Do leave a note on your queries, questions, suggestions and feedback, it will be highly valued and appreciated. Please visit again. I’ve a query, do you add Aliv along with coconut water or just soaked aliv. I have used aliv along with coconut water.